Last week, Alycia talked to us about the character arc. This week, let's talk about how to bring our characters to life. Why is it that we love to watch certain movies and TV shows over and over? In most cases, it’s not the storyline; it’s because we love the characters. So why do I love them? Do they have a great plot? Sometimes, but not always. Are they a little predictable? Perhaps. What makes the difference? For me it’s the characters. There are certain actors and actresses I will watch no matter what. Some I enjoy more than others. Even when they’re playing an entirely different role, you get to know them, along with their little quirks, habits, and facial expressions. They feel like family. In other words, I fall in love with the characters. Isn’t that what we want our readers to do, fall in love with our characters? Absolutely. The question is … how to we accomplish that? None of us are perfect. In light of that fact, we don’t want to read about perfect characters. Give them depth. You can highlight their strengths while exposing their weaknesses. They should be flawed—just like all of us—making them real and relatable. Think about some of your favorite characters. What did you love about them? What did they do that frustrated you? What was it about them that was extremely predictable—or unpredictable? Make the reader cheer for your protagonist and boo your antagonist. Show your reader early-on your protagonist’s goal—what he or she desires the most—and then allow your antagonist to keep that goal just out of reach. For me, secondary characters can add important layers to a story. They can be funny, loveable, loyal, irritating, charming, mysterious, arrogant, or just plain goofy. 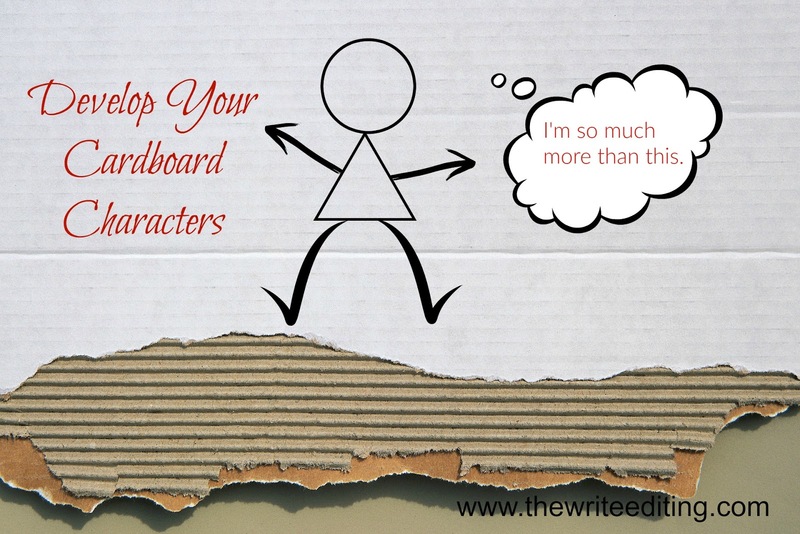 Paint your picture so well that your readers can see your characters. When they do, they will remember your characters long after they read the last page of your story. What about you? Do you have anything to share about bringing characters to life? We would love to hear from you. We all want to save money, but are we willing to spend the time to clean up our manuscripts in order to save the money? Over the next few months, I'll be sharing a series of editing tips. 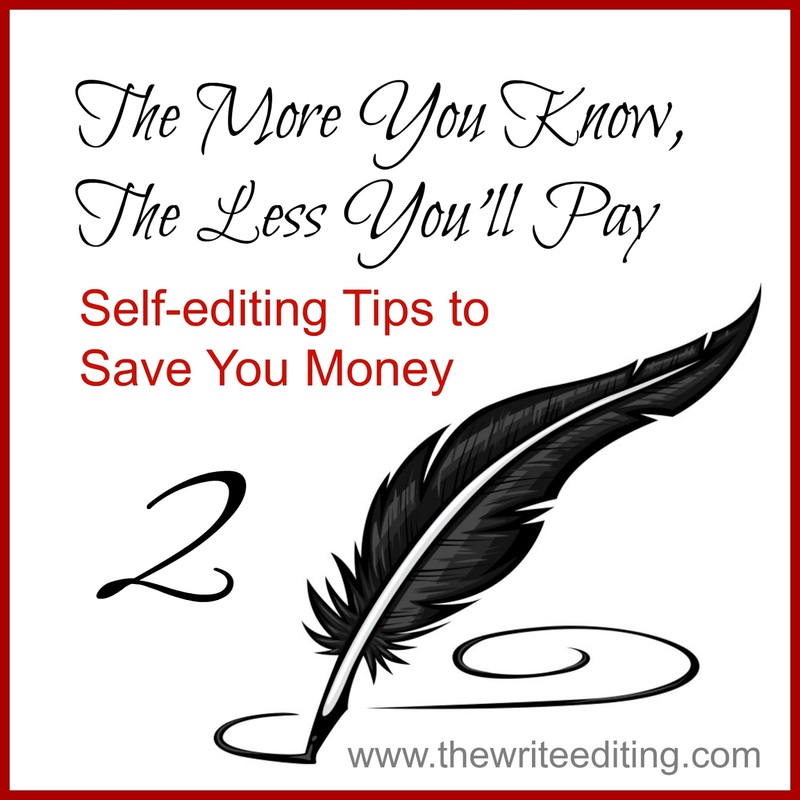 If you're willing to spend the time implementing these as you self-edit your manuscript's rough draft, you'll be able to save money on a professional edit. Substantive Edits (also knows as content edits, deep edits, structural edits, etc.) dig deep into your manuscript and look for issues with plot, character development, point of view, conflict, resolution, saggy middles, and so much more. Each post will cover a different element and go over a few points for improving each element. I'll discuss issues I see across the board and others that pop up once in a while when I'm editing. This week we'll take a look at some elements of character development. Your protagonist must have a character arc. I always imagine this as starting at point A, where he or she thinks they're doing okay. And then something rocks their world. This is going to start the internal struggle (where the character deals with a character trait they need to work on or a personal belief that's been challenged - it's personal) and the external conflict (where something or someone turns life as they know it upside down). From here, it's an upward climb for the character. They will need to don their hiking boots and make the climb toward "better." The problem is, just when they think things are going to change for the good, that they've overcome that hill, something will come along and knock them down a few notches. And this will send them tumbling down the other side of the mountain toward a final, desperate attempt to get it right. The internal and external conflict will push the character toward their black moment, where things just couldn't possibly get any worse. This is also when the character must make a decision as to whether or not they want to change or achieve that goal. And that decision brings about the point of no return. The character will not go back to point A. He or she will push through that black moment and finish the hike, landing on point B. And point B is usually a sunny place, unless your story has a dark ending. Regardless of whether you're writing a romance where the hero and heroine fall happily-ever-after in love or you're writing about the woes of life and a character (or both) dies in the end, your character must have an arc. 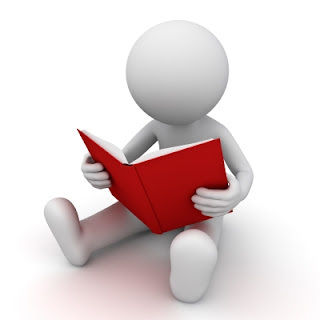 Otherwise, he or she will fall flat with the reader, who will move on to another book. 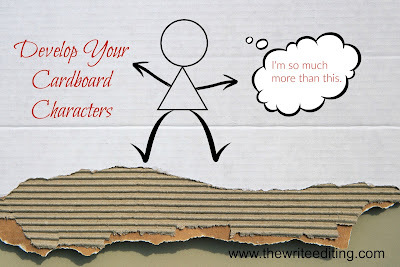 Flat Characters are also known as cardboard characters. These are characters that are simply underdeveloped. They're the cardboard-thin, 1D character instead of the well-rounded 3D character. Maybe they lack personality. Maybe they never say anything important. Maybe they're too focused on their past to be present in the here and now. Maybe they're perfect and need a flaw. You can tell if you have a flat character. You'll recognize something is lacking. They aren't what you want them to be yet. Or your critique group will tell you how much they don't like that character, and it's not because he or she's the villain of the story. Another sign of a flat character is one without a character arc. - Figure out what Point A is. Where is your character in life? What's "normal" for them? - Figure out what could happen to rock their world. Could they find out they've just inherited a million dollars, but it comes with a price? Did they get a diagnosis that limits their time on earth? Did someone just accuse them of committing treason when they know they're innocent? - What internal conflict will they face? The desire to do what's right when they could really use a million dollars? A fear of death that could keep them from living life to the fullest? Self-doubt in the face of a lie? - Give the character a Point B to get to. The inheritance, but because they opted to do the right thing, and that's what the benefactor wanted all along. A clear prognosis, but not until they've discovered the true meaning of life and overcome their fear of death. Freedom, but not until they've spent time in jail for a crime they didn't commit while the bad guy almost got away - and law enforcement figured it out because one person on the squad believed the protagonist. - Now, get them there. With a lot of conflict and resolution. To improve a flat character, consider giving them a flaw or something beyond their control, like an illness. 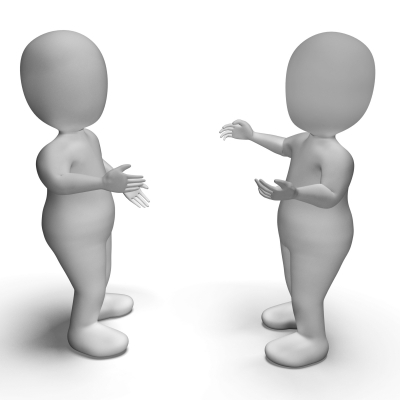 Spice up the dialogue (but don't overdo it). Give her something intelligent to say that no one is expecting from her. Take his animosity toward the heroine and tone it down three notches. Put some grace in his DNA. And make sure his or her motivation is clear. Your character's motivation needs to be believable. 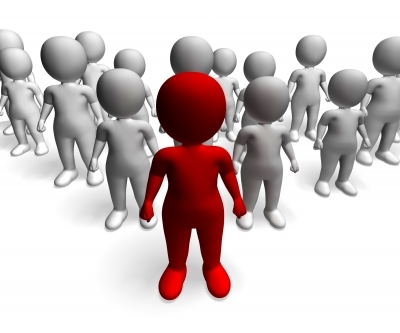 There are many things that motivate people: fear, desire, need, peer pressure, religious beliefs, and more. Make sure that whatever is motivating your character lines up with what they're trying to achieve. Ultimately, whatever it is will be the result of your character's desire to gain something or to escape something. If we take our examples from above, the beneficiary could be motivated by her strong Christian convictions. She would not do something immoral just to gain a million dollars. The cancer patient would be motivated by a fear of death until someone enlightened him or her to the joys of a full life well-lived. Their basic motivation would be to remain alive. The treason suspect could be motivated by a fear of looking bad to others. He'll do anything to prove his innocence. Before you send your novel off for an edit, go through it one more time. Ask yourself if your character's arc has been fulfilled. Are there any characters who could use a little something more? Did your hero or heroine's motivations line up with their goals? If the answer to any of these is no, go back and do another rewrite and self-edit. I know, it's so much work. But in the long run, it will be well worth the effort. What's something you need to work on based on today's post? Feel free to let us know. We'd love to hear your thoughts. So for those of you considering the profession, or who are already here and are considering getting out, here are 10 reasons NOT to become an author! 1. 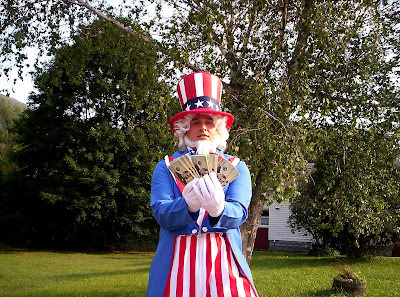 You want to make a lot of money. Truth is, writing books, I’m still not breaking even. Freelancing is a different story. But books, well…not so much. 2. You chose this profession because you mom said you were the best writer ever. There are a lot of reasons to become a writer, and family support is important. But truthfully, your mom probably isn’t an unbiased advocate. 3. You want job where you can stay at home and have a life. I work harder and put in more hours as a writer than I EVER did at a traditional job. Writing is my life. 4. You want fame (to go along with the fortune in #1). There are more ways than ever to find your 15 minutes of fame. But writing a book isn’t one of them. 5. You enjoy talking about writing more than the actual writing. Writing groups are full of these folks. They enjoy the creative atmosphere but are unwilling to actually sit down and commit words to paper. 6. You want to do something where you’re the boss. Yes, you will be working for yourself, and writing novels does give you control over how you schedule your time. But once you begin selling a project, everyone else seems to have more input than you. Your agent, your editors, even the bookstores carry more weight than you. 7. You don’t take criticism well. Professional writers know the best way to get better is by listening—with an open mind—to suggestions. None of us like being told we can improve. Professional writers want to get better more than they want their egos stroked. 8. You hate to read. Good writers read. Argue all you want, but that’s just a fact. 9. You can’t stand rejection. Editors and agents reject manuscripts for a variety of reasons, and it often has nothing to do with how well written it is. 10. You can be satisfied doing something other than writing. The truth is, if you can imagine doing anything else, do it. 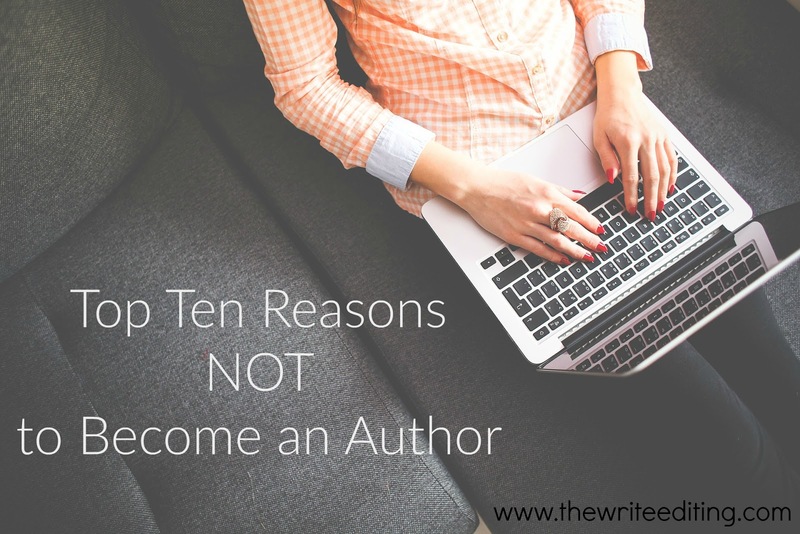 How about you, can you add any more reasons not to become a novelist to my list? 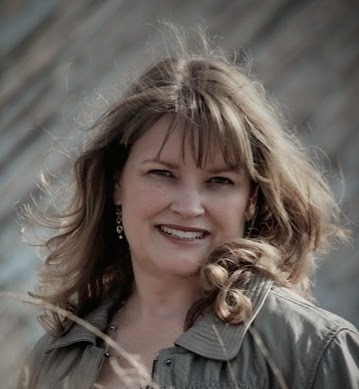 Edie Melson—author, blogger, and speaker is a prolific writer with years of experience in the publishing industry. In addition, her popular blog, The Write Conversation, reaches thousands of writers each month. 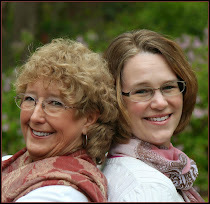 She’s the director of the Blue Ridge Mountains Christian Writers Conference, the social media director for Southern Writers Magazine, and the Senior Editor at Novel Rocket. 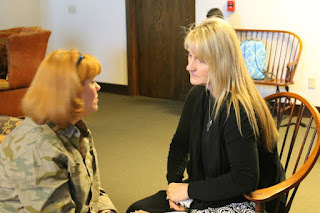 You can connect with Edie through Twitter and Facebook. The word pitch can mean different things to different people. And, no, we’re not talking about baseball, your musical aptitude, or the slant of your roof. In this post, we’re talking about the writer's ability to promote and garner interest in a project. According to Webster’s Collegiate Dictionary, pitch can mean: an often high-pressure sales presentation; advertisement; recommendation; or plug. In this post, we want to eliminate the words high-pressure and concentrate on presentation. In your career as a writer, there will be many opportunities to pitch your work. 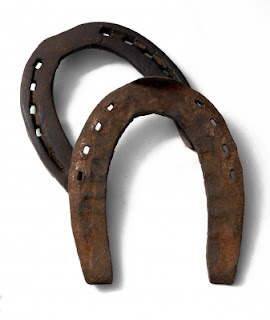 I’m not much of a horseshoe player, but the same rules still apply. The game takes setting your eye on the goal and then practicing your technique. Let’s look at some keys to help you hit the target. When crafting your elevator pitch, think about the words succinct and concise. What you need is a thirty to sixty-second synopsis of your project, delivered with passion and persuasion. Think of this as an ice-breaker that may lead to a more extensive explanation of your WIP (work in progress). It’s a simple way to get more than your foot in the door. I find that most authors have a problem when it comes to creating back cover copy for their book. This is a matter of literally putting your book into a tiny nutshell that will let people know what your book is about, what it will do for them, and why they simply must have it. I typically suggest creating your back cover copy first. It helps you see the overall picture more clearly which, in turn, helps you present it more clearly. Some people find it helpful to begin with back cover copy and then develop their shorter elevator pitch. 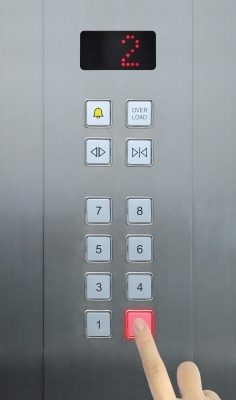 Sometimes your elevator pitch can be something as easy as using your subtitle or tagline. My first book is Murder of a Manuscript. It’s a catchy title but a little illusive. A few people have asked if it’s a novel. 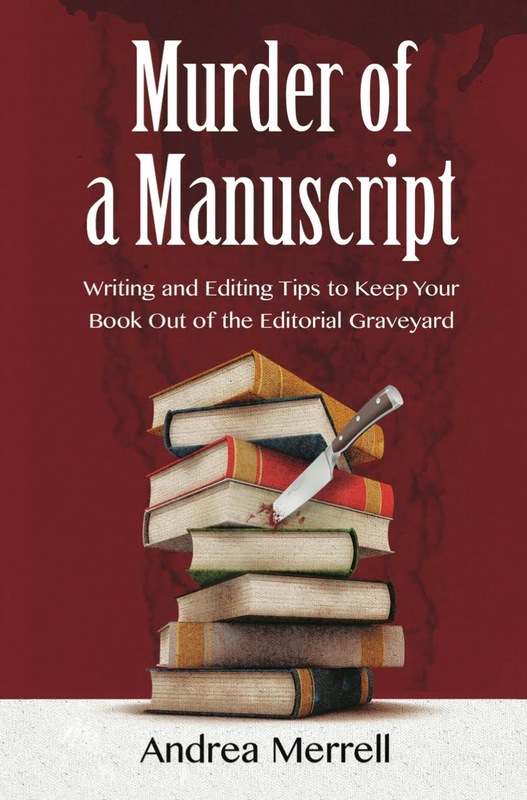 The best way I’ve found to explain my book—thus creating an elevator pitch—is to use the subtitle: Writing and Editing Tips to Keep Your Book Out of the Editorial Graveyard. That is my book in a nutshell. Praying for the Prodigal is about my five-year prodigal journey with both my son and daughter. It includes practical survival tips for parents and guardians, advice from the former prodigals, and thirty days of prayers and Scriptures. The purpose of this book is to restore hope to those going through this fiery trial. But that’s a lot to say in an elevator pitch. Instead, I can use the subtitle: Encouragement and Practical Advice While Waiting for the Prodigal to Return. When someone shows interest and begins asking questions, I can give them more information. Whatever you decide to use, the goal is to spark enough interest that the person you are pitching to will want to hear more. 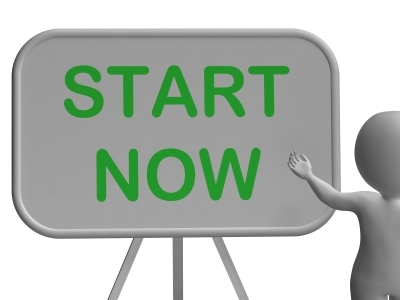 Once you perfect your elevator pitch, you are well on your way to the next step. Don’t be shy, intimidated, or afraid. These professionals are there to help you, not embarrass you or make you feel unqualified. Remember, they were once in your shoes. Be prepared. Have a business card with your photo and a one-sheet ready. Don’t try to present your entire manuscript. If they want it—or any portion of it—they will request it. Your one-sheet should have your name, contact info, title, short synopsis (think back cover copy), and a short bio. It’s always a good idea to have the first three pages, just in case you’re asked for them. Be yourself. Don’t try to impress by being someone or something you’re not. Always be genuine in your dealings with others. They will admire and respect you for it. Ask questions. Again, these folks are there to help. This might be a good time to throw out a few ideas and brainstorm with someone who can give you direction. Don’t over-spiritualize your writing. Don’t spend your fifteen minutes explaining how God gave you this manuscript, and you know it’s supposed to be published. Be gracious. If you get what you consider to be negative feedback, don’t argue—and don’t take it personally. Most of these professionals have been in the business for years. Take the feedback as constructive, and learn from the opportunity. Always be teachable and it will enable you to improve your writing. Don’t Stalk. Believe it or not, there have been many times when a writer has followed an agent, editor, author, or publisher into a bathroom to get their attention and make a pitch. Don’t pass your manuscript underneath a stall and expect someone to look at it. This goes beyond way bad manners. It’s important to know your work so well you can tell someone about it in a few short sentences. And always be ready. You never know whose life your words may touch or when that opportunity will arise, whether at a writers’ conference or in line at the grocery store. Just as we are instructed to be prepared “in season and out of season” to share the Word of God (2 Timothy 4:2), we should always be ready to share the words He has placed in our heart. What about you? Do you have anything to add to the checklist? We would love to hear from you.